When your hard disk starts to feel overstuffed, your first option is to tidy up your personal data folders, deleting files you no longer need and archiving others to external storage devices or to the cloud. Don’t forget the Downloads folder, and be sure to empty the Recycle Bin after your housekeeping is complete. But that’s only the first step in claiming back free disk space. Some of the biggest disk hogs are files that Windows keeps on hand even after a successful update. Old Windows Update files can use multiple gigabytes of space, and a semi-annual feature update can keep tens of gigabytes of old Windows files on hand for weeks to enable recovery features. You can’t recover this disk space using File Explorer. Instead, if you’re confident you don’t need those old files, you need to use one of two built-in system tools. To clear up your disk space using Disk Clean-up Manager, follow the following steps. 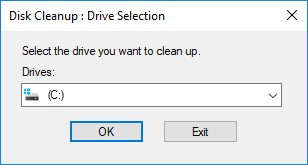 Select C: or the drive which contains your Windows files, once you click on Ok. It will proceed with processing of the drive to check for possible options to free up disk space. 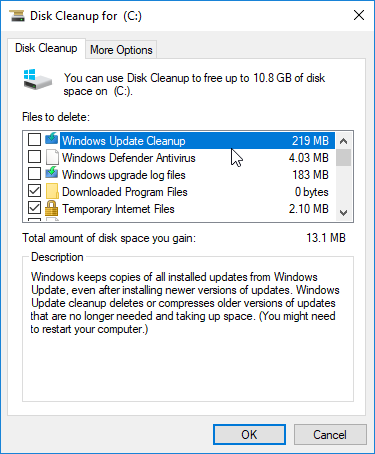 A Disk Cleanup window will Launch and you can select the folder to clean and it will free up space. 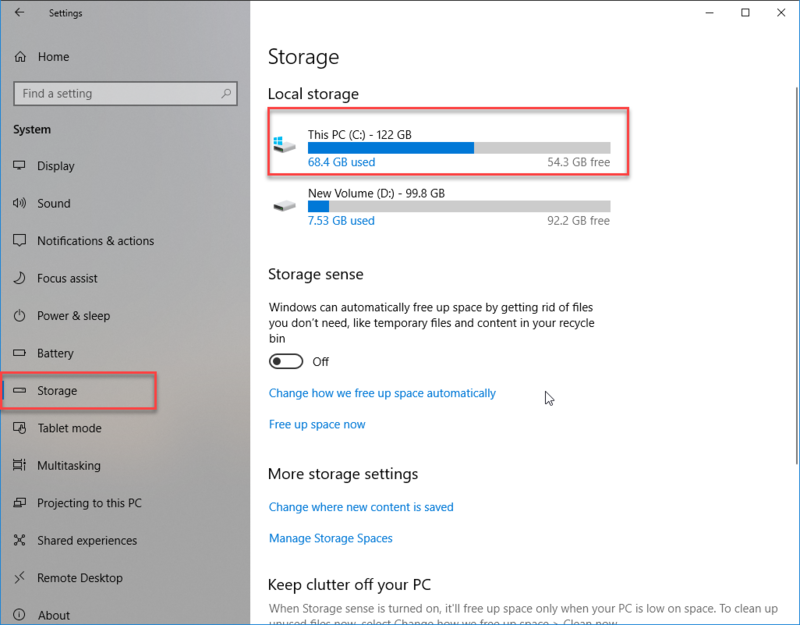 To clear up your disk using Windows 10 Storage Settings follow the following steps. 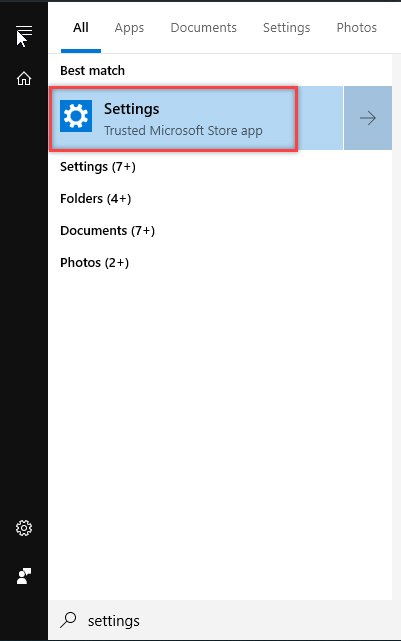 Click on the start menu and type “settings”. Click on it to open it. Click on Systems icon, then click on Storage option in the left-hand configuration menu. 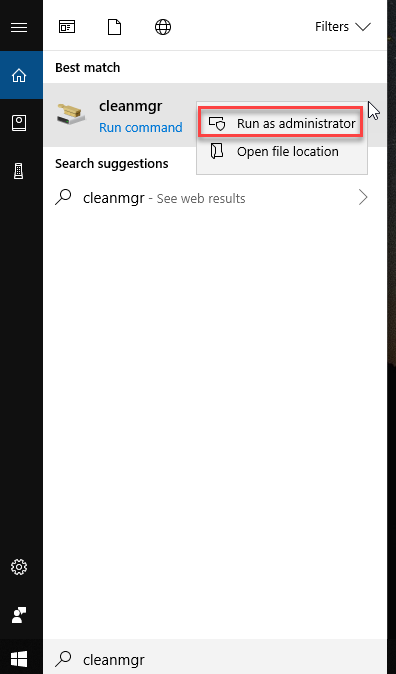 On the right-hand windows, click on the drive from where you want to delete the files. 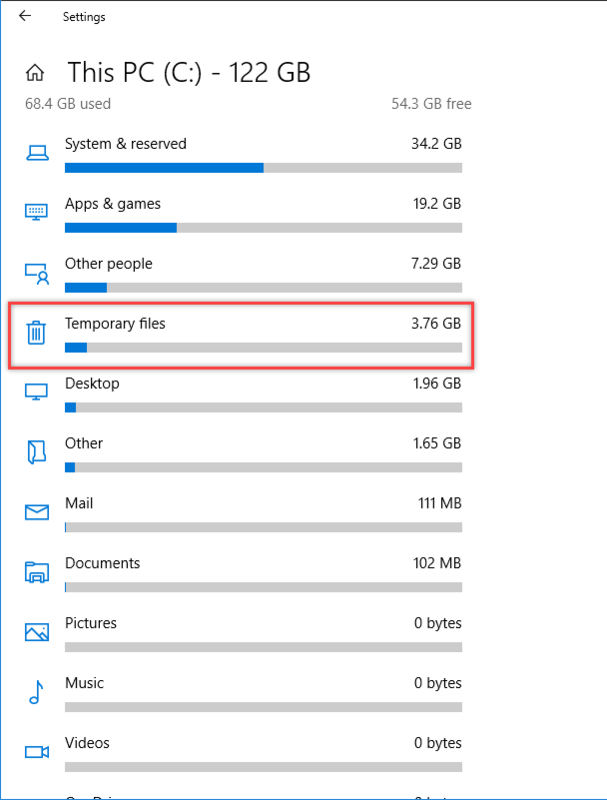 Expand the categories under your system drive and then click Temporary Files. Select either of those same two categories and then click Remove files to reclaim their space, both methods are very useful and since they are built-in features of Windows you don’t risk deleting any system files that may effect Windows functionality, you also avoid the risk of using 3rd party software which can have potential of a malware. Now all of the temporary files will be removed and it will create disk space.